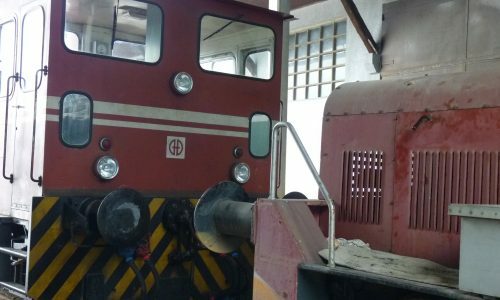 The sound of the Bedia diesel locomotive in motion within the coal mine. 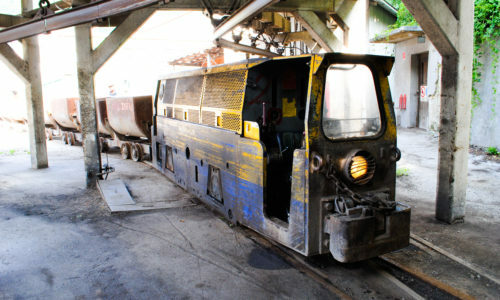 It is a special version of a typical mine locomotive used for the transportation of people and material. It is adapted for operation on the steeply sloping underground tunnels with the help of a rack and pinion system. 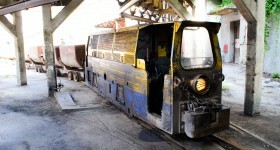 The locomotive was manufactured by Bedia in Bonn, Germany, in 1989. The engine output is 130kW. 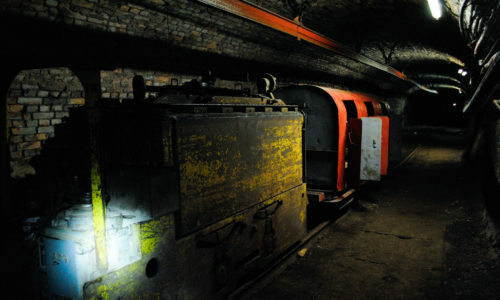 In recent years it has mainly been used for transporting sand being taken into the mine to fill the tunnels as part of the closing down process of the coal mine.